It goes without saying that for beauty junkies YouTube has become THE place to turn to when looking for inspiration, tips and tricks or just to check the pulse on what’s trending in the makeup world, be it the latest products on the market or just beauty crazes. If you’re a makeup fangirl, you’re probably hooked on quite a few channels that you’re already religiously following. 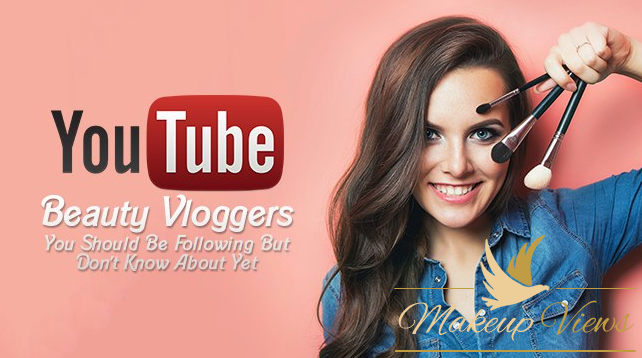 Seems like a new beauty vlogger pops up every hour, but there are those select few that stand out as influencers and have reached true stardom level audiences. Some of them have gotten popular because of their incredible talent, while others have kept us entertained simply with their charismatic personalities and by being themselves, just having fun. Michelle Phan had a great impact on the history of makeup tutorials, as well as the definition of beauty guru stardom, as she was a source of inspirations for millions for a couple of years now. Apart from doing skin care and tips and tricks tutorials, she also specializes in creating jaw-drop amazing make-up tutorials for Disney, anime, as well as other fictional characters. Aside from make-up, fashion tutorials and hauls, she also does a series of silly videos, most of which involve unboxing random items and some fashion-related ones like make-up kits and accessories. If with most vloggers skill is the name of the game, grav3yardgirl, in her goofiness, is among us to bring pure entertainment to the table, along with an Addams Family twist. Fun fact about her: She started her channel in 2010, primarily as a paranormal video blogger. With over 6 million subscribers, this beauty guru started out back in 2008 with a makeup vid that only got 8 views and 3 comments back in the day. Her passion for makeup and dedication to posting tutorials on YouTube every week have kept on building Nikki’s popularity and her videos are still full-on trending, teaching us stunning tips and beautifully edgy, and detailed make-up designs. If the name doesn’t sound familiar to you, then you’re totally missing out. Jeffree Star is a true to heart transformation artist, always ready to unleash his utter fabulousness unto us mortals by creating the fiercest looks in trend. This gender-bending singer, fashion designer, DJ, and performer is so good that he even has his own line of cosmetics. You can check them out here. He’s appeared in music videos by Good Charlotte and also featured in some episodes of the TV series LA Ink. The first buzz around Kandee’s YouTube channel came as a response to her unbelievable makeup transformations, which showcase her morphing into some our favorite characters, i.e. Willie Robertson, Jessica Rabbit, Snow White, the Queen of Hearts, and many more. Mexican and Portuguese-American beauty vlogger Bethany Mota had gained more than 10M subscribers since 2009 when she launched her YouTube career. She’s won a Teen Choice Award in 2015 and a Streamy Award in 2014 for her popular beauty vlogs. Due to the success of her vlogs, she even began appearing in advertisements on the New York Subways. Their vids are so popular as they take you step by step through a whole palette of tips and tricks from how to make your eyes look bigger to how to turn yourself into Tim Burton’s Corpse Bride. Their followers have acclaimed their channel to be as though “having your best friend in your bedroom”.